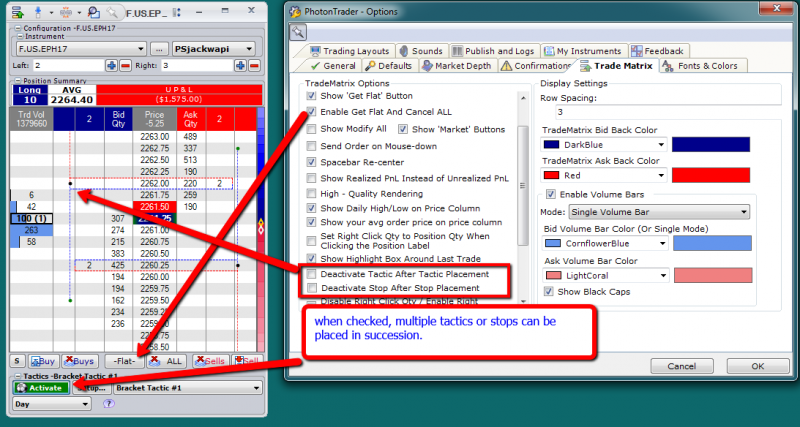 Overview of the Configuration options window for functionality and appearance of the PhotonTrader platform. 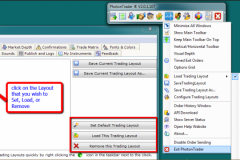 The Options Panel lets you change the appearance of the PhotonTrader windows, and personalize many of the default settings related to the placement of orders, and which features are enabled. 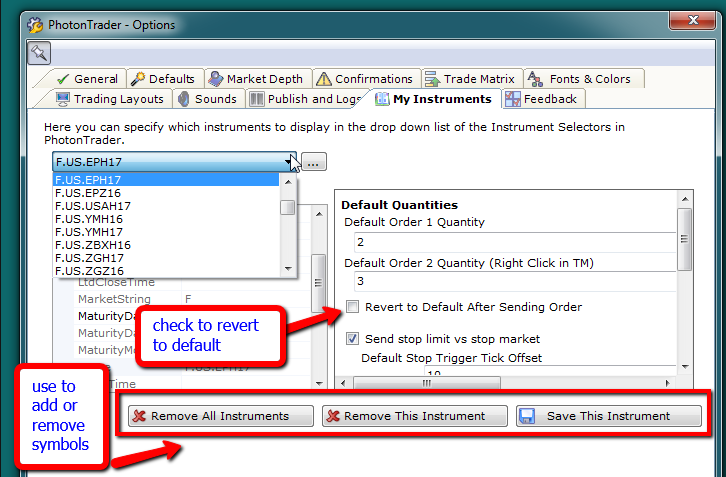 The My Instrument Tab is where you can configure which instruments to display in the drop down list of the Instrument Selectors within PhotonTrader. 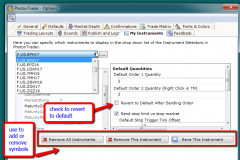 The Right Click/Left Click default order quantities can be configured for individual markets if desired. 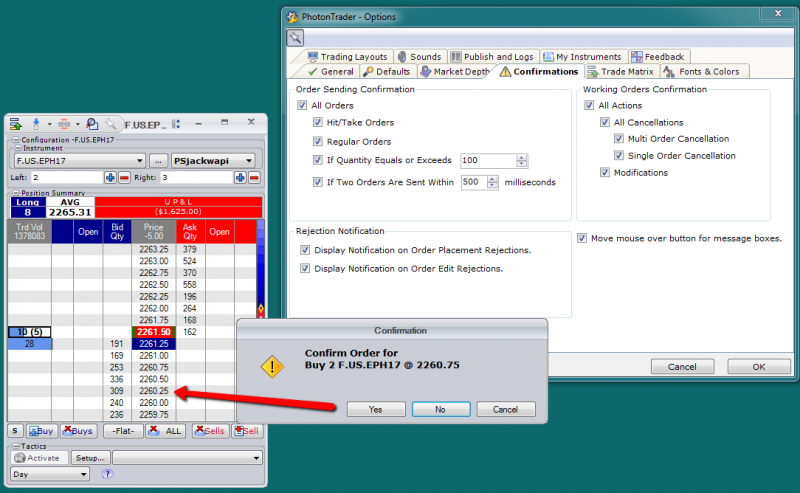 The Confirmations Tab allows you to configure the pop up confirmation windows that prompt an action when an order is placed. 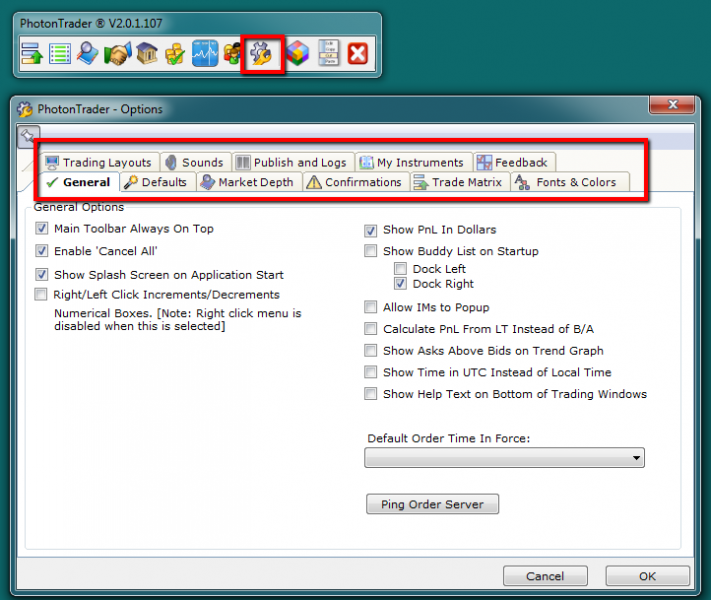 The Trade Matrix tab allows the configuration of the appearance of the Matrix window, and which features are enabled. 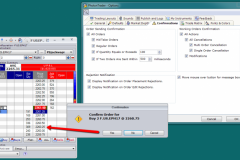 The “Enable Get Flat and Cancel all”, which will cancel working orders, and then exit open positions when checked. 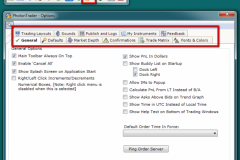 If unchecked, the “Deactivate Tactic After Tactic Placement” and “Deactivate Stop after Stop Placement” will allow successive orders to be placed as default. 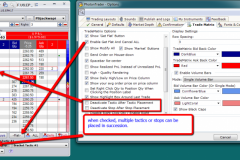 The Trading Layouts tab allows you to manage the Trading Layouts.